Filming is underway for the next tvN Wed-Thurs drama called Touch Your Heart. It’s based on a webtoon of the same name about a top starlet who goes incognito as a secretary for a famous and successful lawyer to gain experience for her next role. 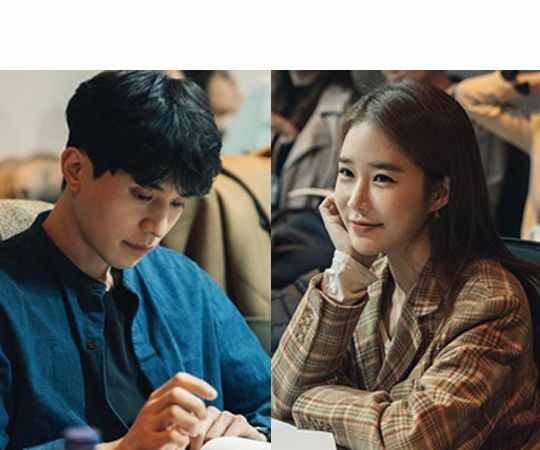 The top actress and an attractive professional romance is currently being done with the MBN drama Fluttering Warning so the allure of Touch Your Heart is mostly with the reunion of leads Lee Dong Wook and Yoo In Na after their drama secondary OTP stealing turn in Goblin. There’s also Shin Dong Wook as the second male lead here and it’s been ages since I saw him onscreen so I’m excited about that as well. This drama also comes from the PD of Why Secretary Kim, This Life is Our First, and Bring It On Ghost. @sayaris , agree with you. he was good in Live and for the ones who didn’t Watch it…don’t miss it . As for the couple, i wasn’t blind by their couple, but it may be different for a romcom . So bring it to me ! I’m actually so excited for this. These two are amazing together. Can’t wait! Yoo Inna’s plastic surgery face bothers me and Lee Dong Wook… is just not charismatic. He leaves me zero impression yet ironically his Grim Reaper character was the only tolerable character in Goblin since Gong Yoo and Kim Go Eun were both TERRIBLE and had no chemistry whatsoever. Could you please tell me which drama would you think is the most worthy one in your opinions to watch and which actor or actress that carry the best performance so far in which drama ? Zzzzz another rom com biting of a webtoon. Over it never saw Goblin but I do like LDW as for YIN never watched a drama of hers but the storyline alone is enough for me to sleep on. Pass for sure. Smacks of boring and unoriginal. Pretty autumn is not so pretty with their words. If you criticize things and want to make an impact please use real examples and explanations. It shows little reasoning other than some weird psychological issues with actors. An actress going undercover to gain experience, sounds like the ABC’s drama Take Two which ran for a season and got cancelled.